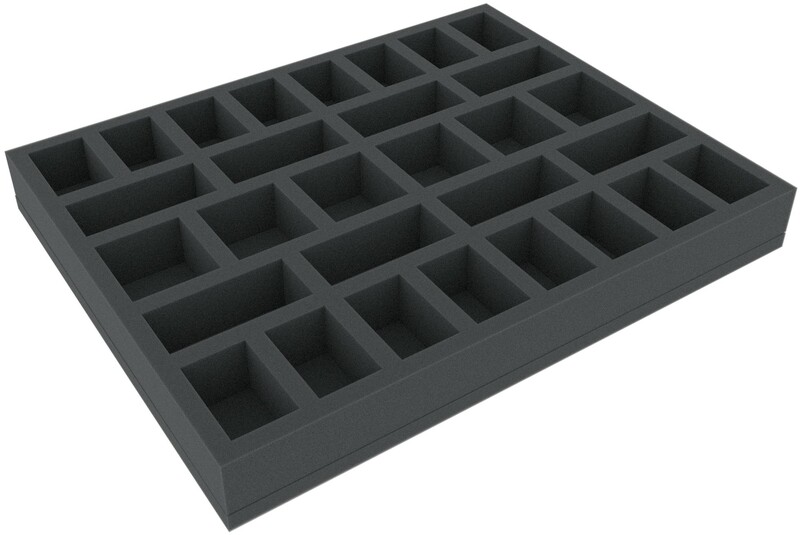 The foam tray is optimal for many game system and especially suitable for miniatures with 32 mm base. 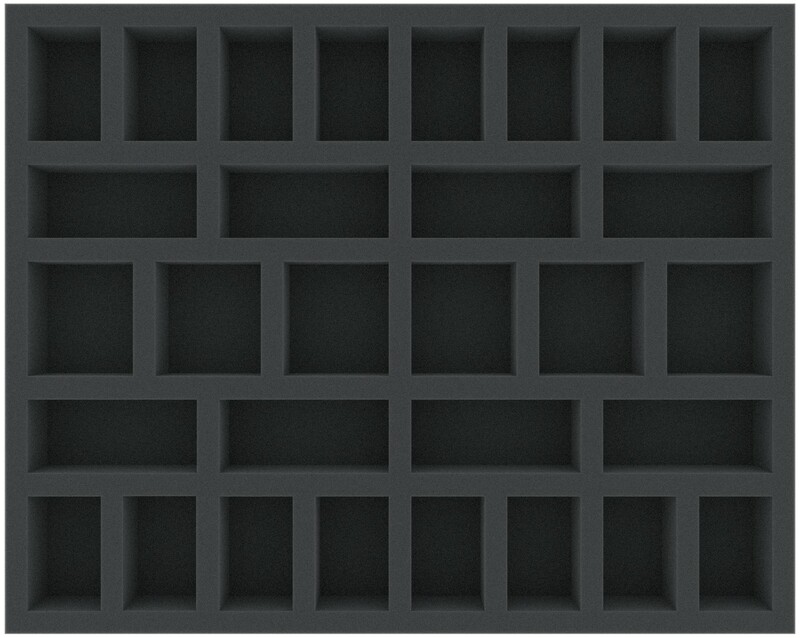 The foam tray offers 30 compartments. The 40 mm depth of the foam is result from 10 mm foam base and foam tray with 30 mm effective thickness.